The Netherlands has a long tradition when it comes to commemorating the Second World War. Every year the fallen are remembered - soldiers, resistance fighters, civil victims. Our focus is on the victims in the Netherlands (Europe) and of the war in the former Dutch colony of the Netherlands East Indies. Since the 1970s the Holocaust has become increasingly prominent in this regard. More than 100,000 Dutch Jews (out of 140,000 in total) and Roma and Sinti were murdered during the war. This terrible tragedy continues to prompt many questions, such as: how could this happen in the Netherlands? The Netherlands is an original signatory to the Stockholm Declaration, and has been a member of the IHRA ever since. 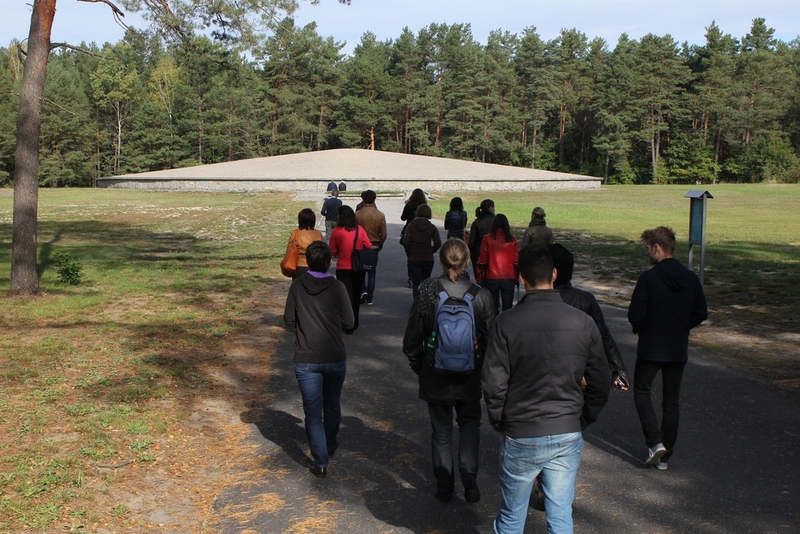 It is important that IHRA member countries adopt a collective view on the possible forms of commemoration for the Holocaust and consider how they can help other countries by sharing their experiences. This is why the Netherlands are engaged in projects in for example Bosnia and Ukraine, and in Sobibor. But apart from being there to help, the Netherlands are there to learn. 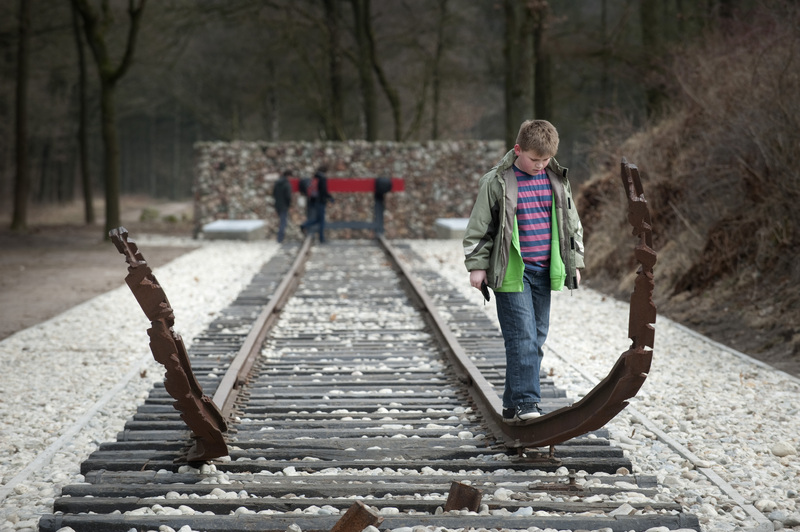 Awareness of the Holocaust in the Netherlands is strongly focused on the events that took place in our own country; the Holocaust outside the Netherlands, the sheer magnitude of the drama, is less well known. The Netherlands Government includes World War Two and the Holocaust in particular in its national teaching curriculum. The subject is taught in every type of school. The Government makes funding available for projects by organisations that support teaching in this area. Funding for educational projects on the Holocaust is made available by the Dutch government. Most organizations working in this field highlight the contemporary significance by making connections between the past and the present. Much of the teaching material is designed to provoke discussion. 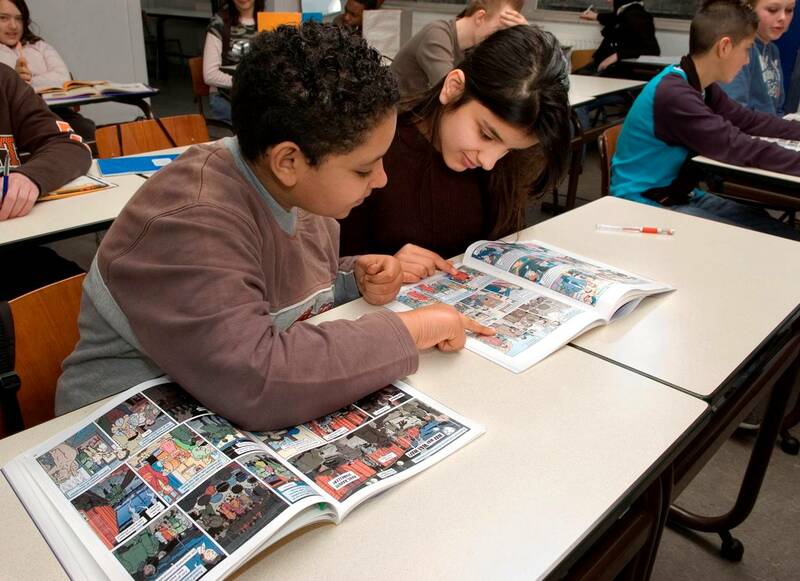 Policy also focuses on providing supplementary materials, one such example being 'The Search', a book in comic strip format developed by the Anne Frank Foundation, and financed by the Government. Due partly to IHRA contacts, this book has been translated into 12 languages, amongst others into German and Polish. Monitoring is considered important. How much does the average Dutch person know and understand? What areas should be given special attention, and what are the appropriate target groups? In the past years teacher training, junior secondary education in the 14-15 year age group, and the international angle were policy priorities. 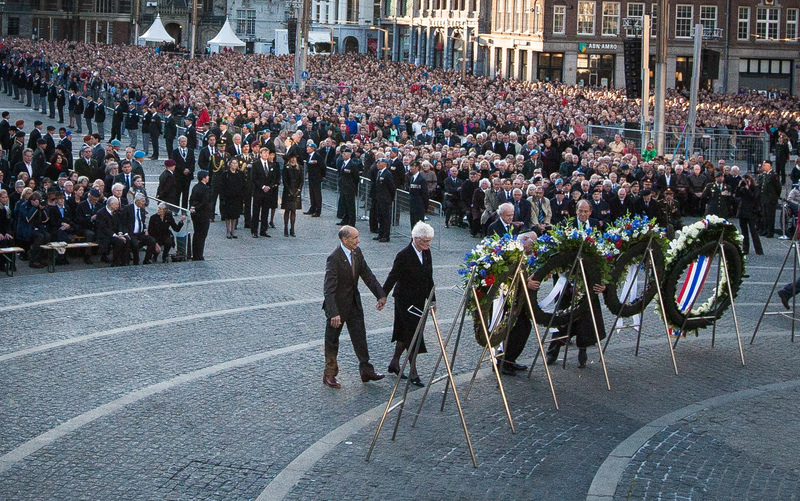 the Dutch victims of WWII and victims of other wars and peace-keeping operations since are remembered. At 8 pm a two-minute period of silence is observed everywhere in the Netherlands. Liberation Day is celebrated with festivals around the Netherlands. 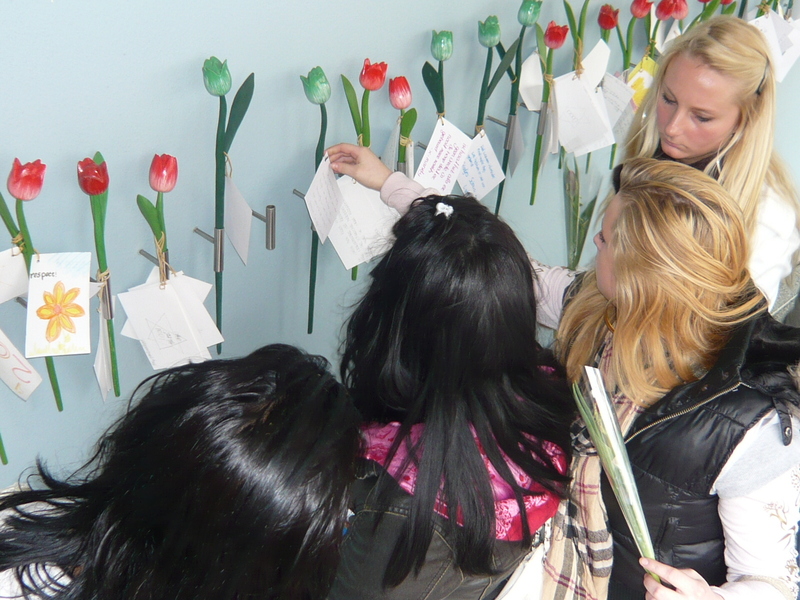 The Netherlands has a diverse landscape of remembrance, with different memorial dates throughout the year, connected to different victim groups and histories. January 27th is acknowledged as the day of remembrance of the liberation of Auschwitz. There are several Holocaust Remembrance Day commemoration events all over the Netherlands, including in Amsterdam and The Hague. 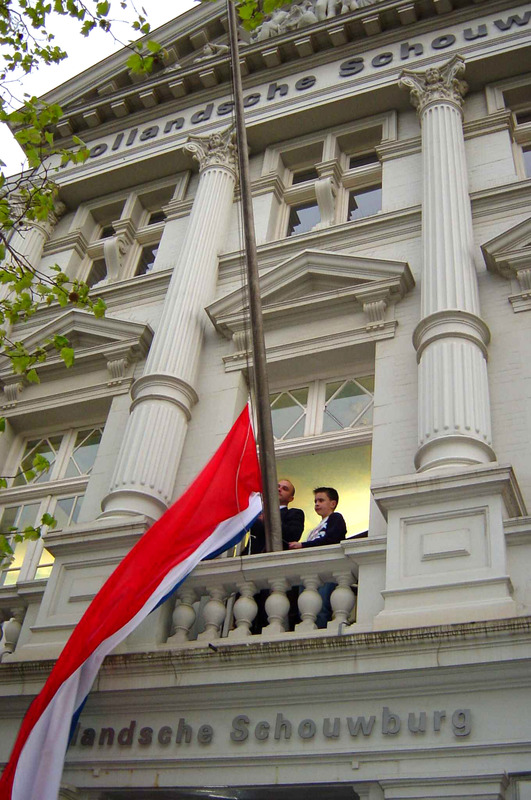 A commemoration for Jom HaShoa is held each year at the Hollandsche Schouwburg in Amsterdam, that is attended mostly by members of the Jewish community. Throughout the year, dozens of additional commemorations are held in the Netherlands in connection to specific events and groups, including for example victims in the former Dutch East Indies, forced labourers, specific concentration camps and local events such as the raid in Putten. Permanent reminders are present in the form of memorial centres at Amersfoort, Vught, and Westerbork and in more than over 3600 war monuments in the Netherlands. The Netherlands Institute for War Documentation (NIOD) was founded in 1945. Following the Stockholm Declaration, the Centre for Holocaust and Genocide Studies (CHGS) was set up. Here research specifically related to the Holocaust is carried out. In 2010 the two institutions merged and are now the 'NIOD' together. Their staff teach at the University of Amsterdam. International cooperation is a priority when it comes to research. A good example of NIODs international work is the coordination of the European Holocaust Research Infrastructure (EHRI). EHRI's main objective is to support the European Holocaust research community by giving it integrated online access to dispersed Holocaust related sources all over Europe and Israel and by encouraging collaborative research in multi-national research teams. To this end, 20 organisations from 13 countries will work together in a four-year project funded by the EU. 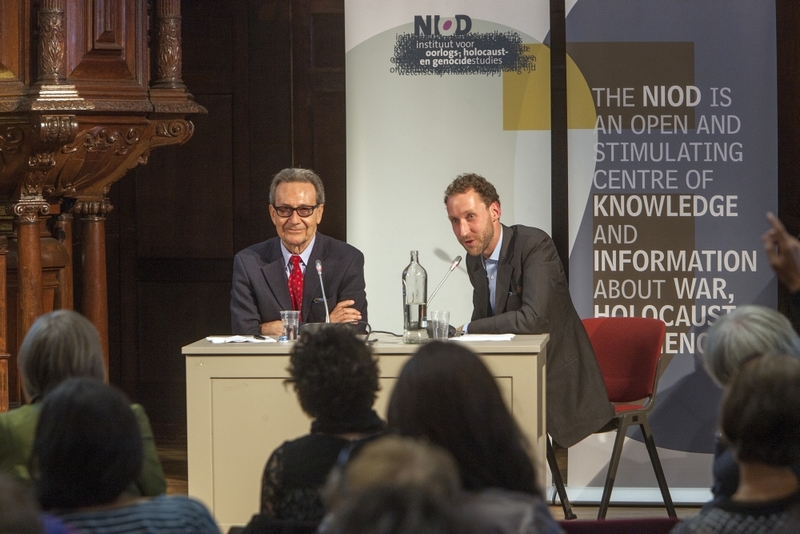 Apart from its research, archives and teaching tasks, the NIOD provides post-graduate courses and fulfils a specific public function in relation to the Holocaust and other genocides. The government invested in the temporary 'Heritage of War' programme, providing 23,7 million euros in funding. A big challenge is to keep the history alive when there are no surviving eyewitnesses anymore. This is why the emphasis was on preserving as much of the valuable material - and unlocking as many of its secrets - as possible; recording the accounts of eyewitnesses, preserving historical records, photos and films, and building websites where everyone can find the information they are looking for. Digitized national collections were formed, various documents and websites were created, using Heritage of War materials and eyewitness reports to reach a wide audience. The programme 'Heritage of War' has ended, but the NIOD is responsible for the heritage in the future:www.niod.knaw.nl.